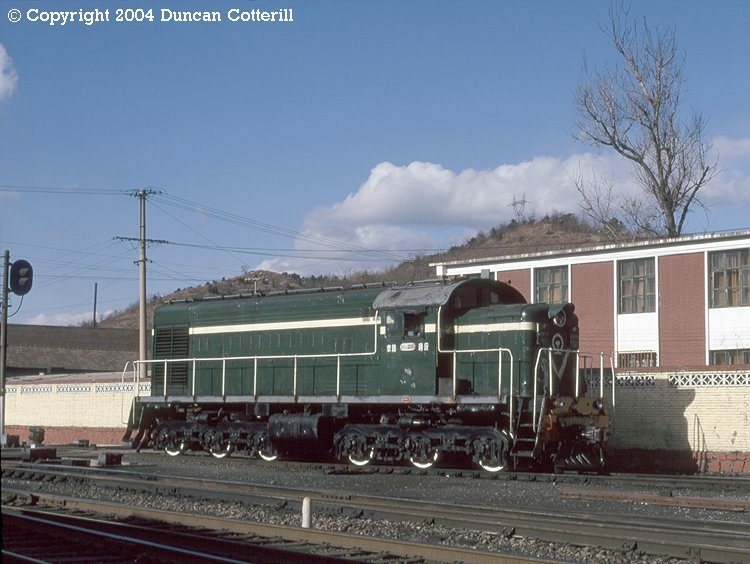 Displaced from shunting duties around the capital by more powerful locos, DF2 3285 found temporary employment as station pilot at Chengde. However it was only a short time before it was replaced by a brand new new DF7C. The photo was taken in November 1996. The DF2 design was descended from a batch of ALCo RS1s delivered to the USSR during WWII. The high long hood was required to house the Fairbanks-Morse style 6E207 prime mover favoured by the Chinese at the time.